The Force is soft with this plush. The Star Wars: The Last Jedi Mega Destroyer Vehicle Plush is a necessity for your Star Wars: Episode VIII - The Last Jedi collection. This plush vehicle measures about 6-inches long. 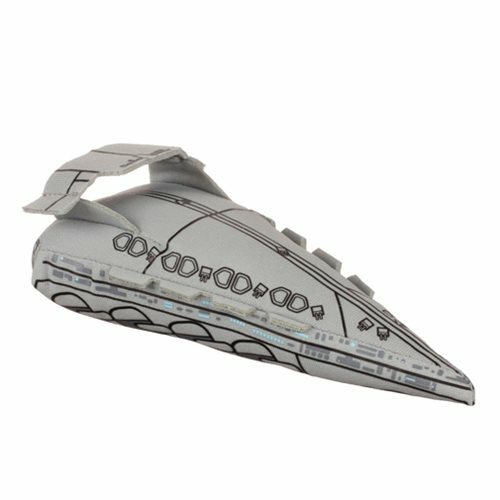 Bring home the Star Wars: The Last Jedi Mega Destroyer Vehicle Plush before it jumps to light speed! Ages 14 and up.